KMSpico is the Powerful tool for activate windows 8 and windows 7 all versions. Mostly KMSpico use for server side activation. What i mean is Microsoft have developed new framework called WAT, Its used for check windows activation and keep safe windows OS activation system. also windows have stopped key activation method. Now they are using token base system. as you know if you buy a MS product, you get a activation key, that key wont need to enter to the software anymore. 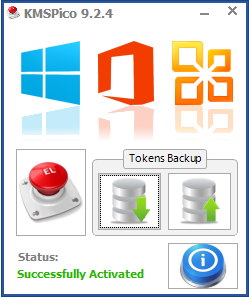 what user have to do is, call the Microsoft call center then tell them a key, then you get token file. so this process possible to crack by using KMSpico. First of all user need to download KMSpico. i suggest you to watch above video and check description for the download link. Then unzip and install the KMSpico software. open it and fist of all toy need to backup your original token file. why is if KMSPICO fail to activate windows, still user has a chance to recover the PC. Other vice user end up with another re installing. then click the activate button. congratulation. you have activated by KMSPICO.